Already taken our hearts and shelf display on many occasions this all-new KONETA is a beauty. One can’t speak more highly enough about Shin’s KONETA, we keep falling in love with the little chap over and over again. 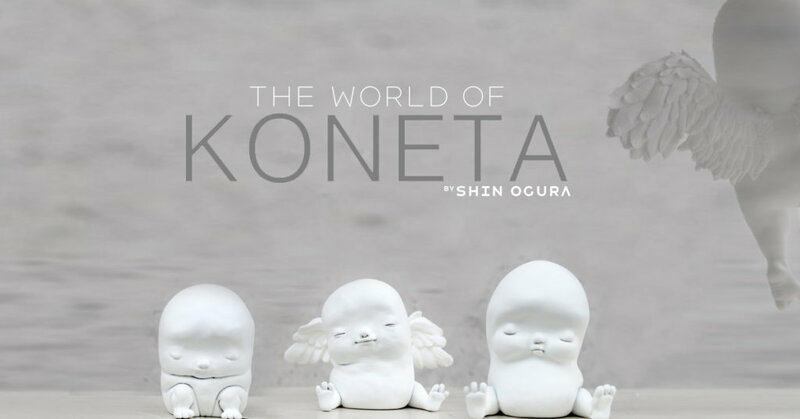 We presented you with Wings KONETA by Shin Ogura way last year and it seems like Wings KONETA has made it onto an online release. Joining the rest of the weird and wonderful KONETA. The minimalistic style and expressions go a long way. This time we can see more detailed sculpt within the wings, all that texture compared to the classic KONETA that we’ve featured back in 2015 HERE. Just look at the minimalistic expression how can you not like the chap. It’s the pose that had me, reminds me of myself nodding off. Find Shin Ogura via bunita100.jimdo.com Facebook and Twitter.